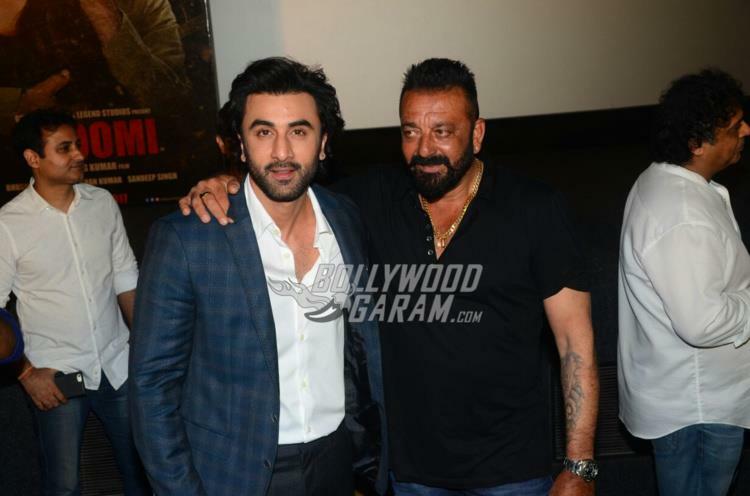 The official trailer of the film Bhoomi starring Sanjay Dutt was launched at an event in Mumbai on August 10, 2017. 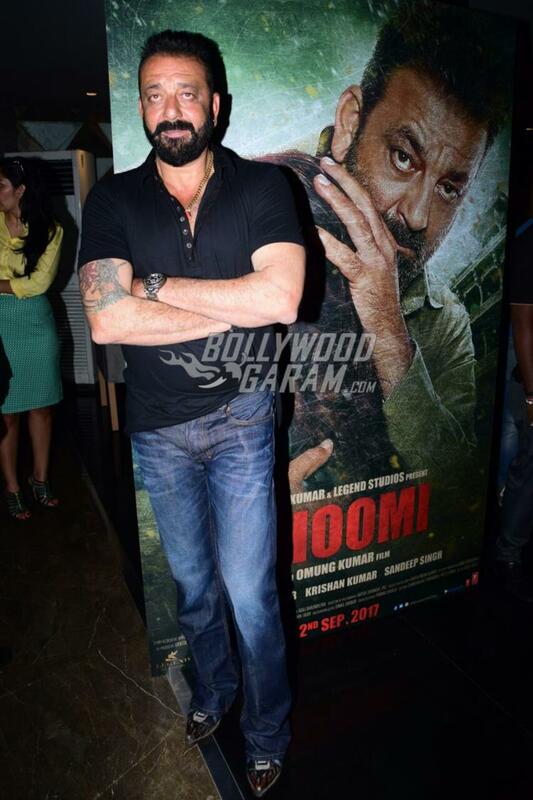 The film Bhoomi will mark Sanjay’s return to films after his release from jail. 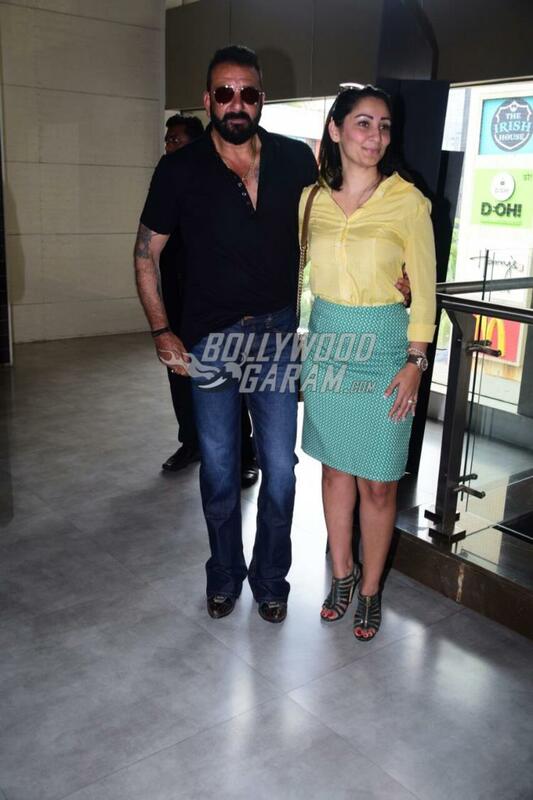 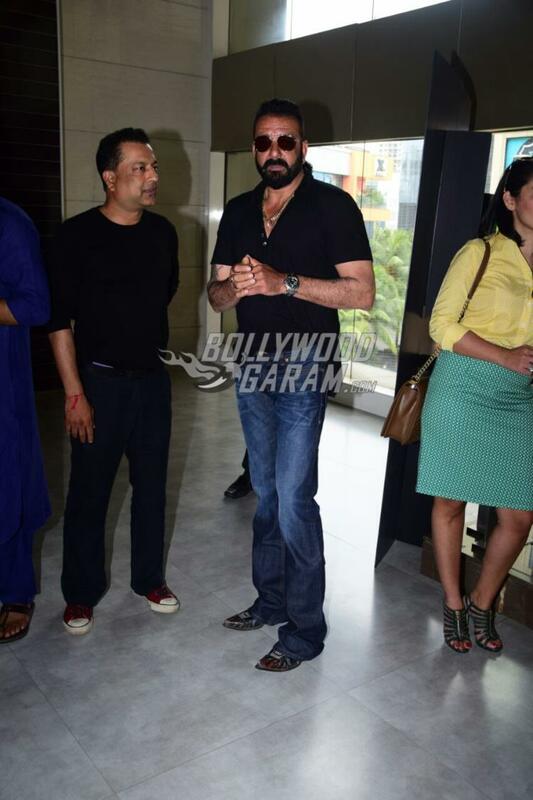 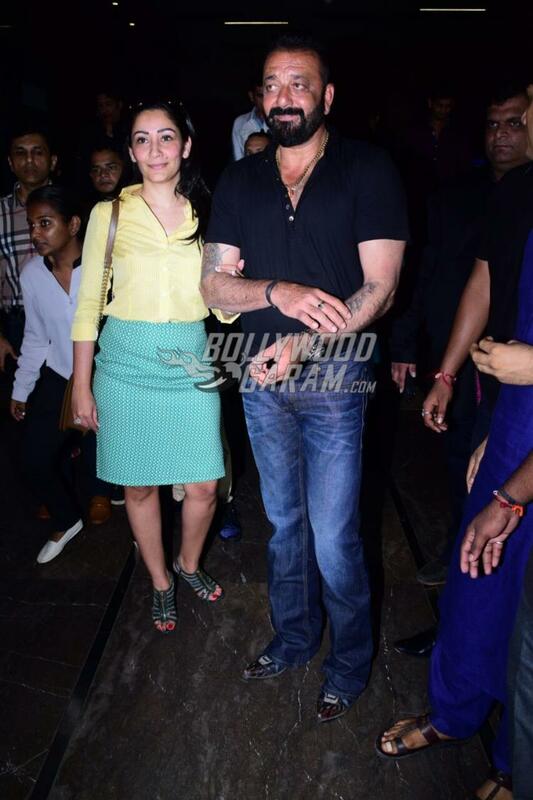 Sanjay was photographed during the event with wife Manyata Dutt. 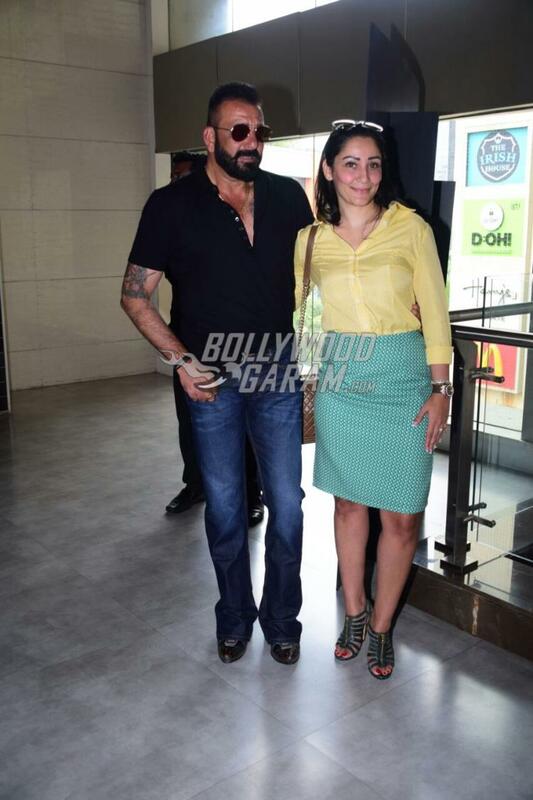 Sanjay looked great in a black polo t-shirt and a pair of blue denims while wife Manyata looked pretty in a yellow shirt and a green skirt. 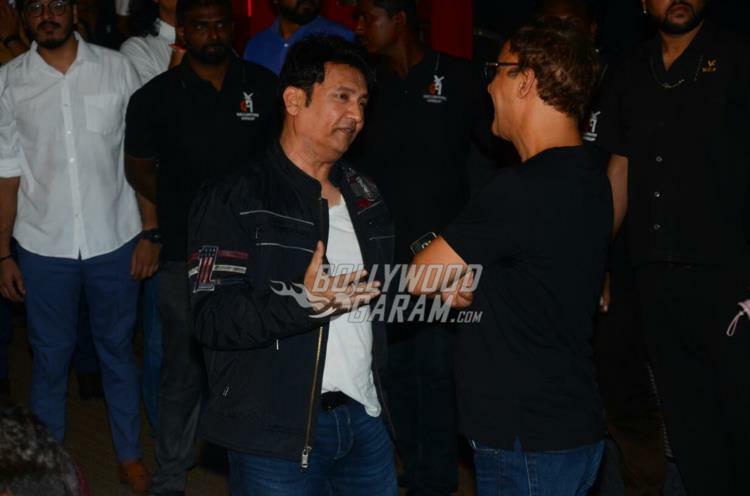 The trailer launch event also saw the presence of director Omung Kumar. 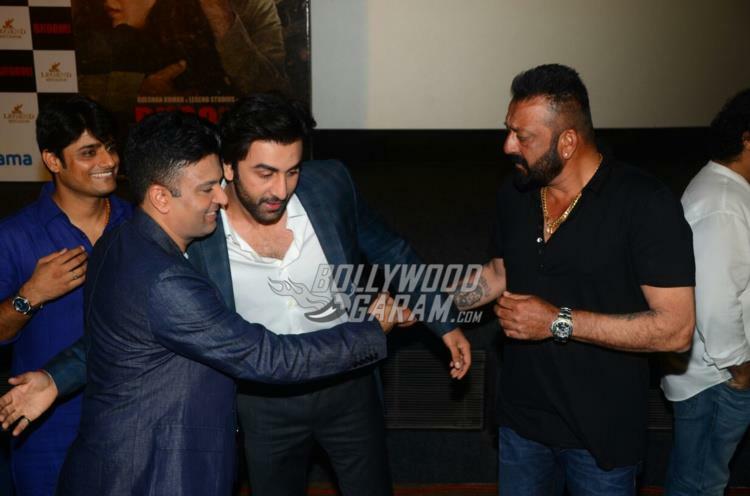 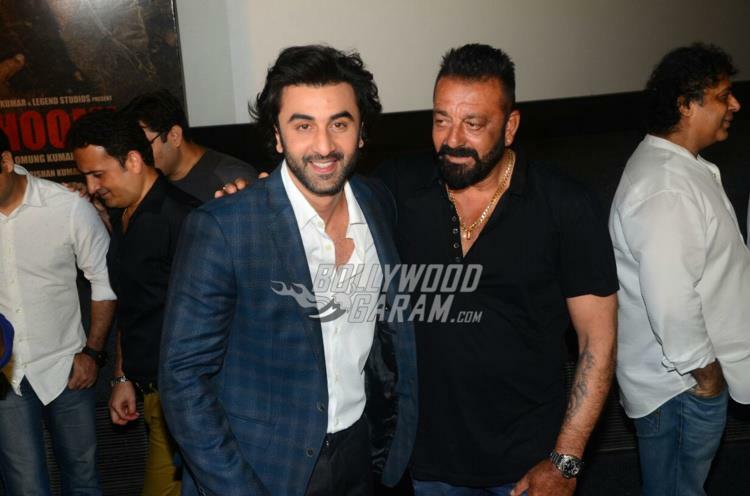 Ranbir Kapoor, who will soon be seen in the upcoming biopic of Sanjay Dutt, also graced the trailer launch. 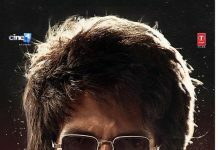 The upcoming film also stars Aditi Rao Hydari, Sidhant Gupta, Sharad Kelkar and Sunny Leone, who will be seen in an item song. 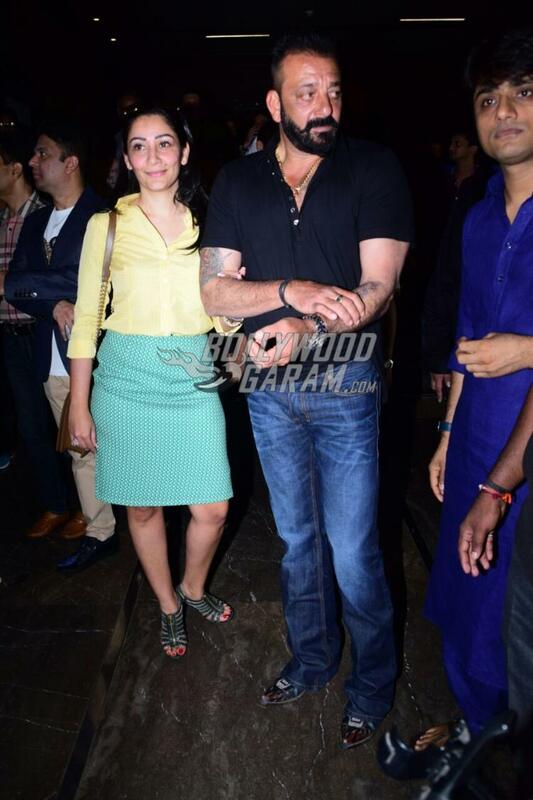 Aditi will be seen playing Sanjay Dutt’s daughter while Sharad will be seen playing a negative role. 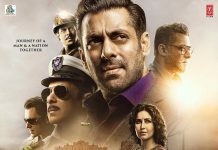 The film Bhoomi is produced by Bhushan Kumar, Sandeep Singh and Omung Kumar and is due to be released in theatres on September 22, 2017.